You want me to eat all of this? Yesterday I mentioned that I was going to do the ChiroHCG diet. Well, today is day #1, and it is a "Loading Day". I will admit I am really not sure why it exists, and even more confused as to why there are 2 of them, but I will follow the directions to a T.
As you probably know, the "key" to weight loss and weight gain is the number of calories that you eat. According to the experts I should be eating around 2,200 calories per day for my sedentary lifestyle. If I were to eat 1,700 a day then I would lose 1 pound a week. Conversely if I ate 2,700 a day then I would gain 1 pound a week. 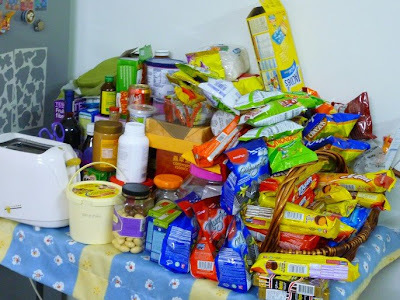 Well, one of the requirements with loading day is that I eat 5,000 calories. Let me let that sink in. Yes once you get past the shock of it all, my first question was...How? I don't normally eat breakfast, and even if I ate my favorite food (Chipotle) for lunch and dinner, I might only hit 2,000 calories. So once I had made the decision to do this diet I had to find a way to hit the 5,000 calories. It is not enough to just stuff yourself. 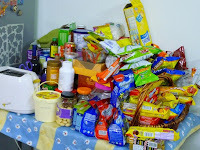 I almost have to eat all day long...and hope that what I eat is quickly absorbed/expunged to make room for more food. 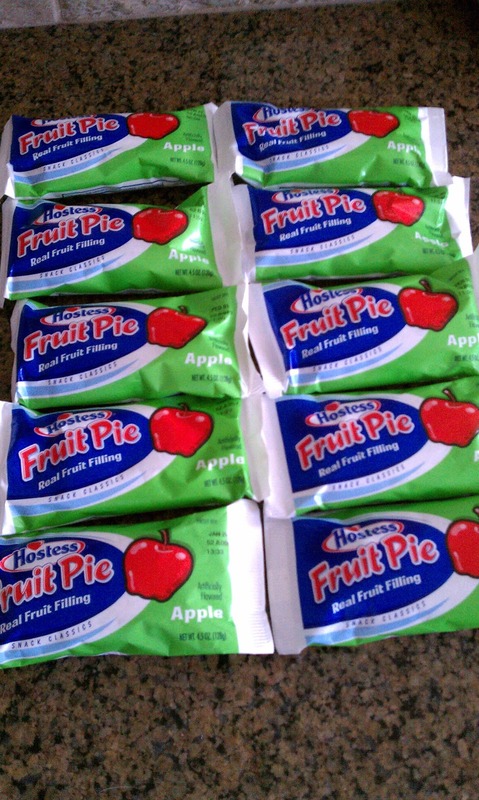 One of my favorite treats (that is unfortunately why I am fat) is a Hostess Apple Pies. In preparing for this day (i.e. figuring out what favorite restaurants I would have to visit, etc) I had to come up with some filler food that I like, wasn't expensive, and would get me closer to my goal without causing too much pain. Low and behold this great little "snack" is just the answer. 1 Apple Pie has 470 calories and 20 grams of fat. Yes you read that right. So if I were to eat 10 of them in 1 day that would put me at 4,700 calories and 200 grams of fat. I cannot do that. I still want to enjoy my last few days of "normal" food, so I have decided to limit myself to 5 pies a day to help cover half of my caloric "needs". I actually went by the grocery store this morning after dropping Lexi off at Kindergarten and bought 10 of them (5 for each day). When I was checking out the lady apologized for asking, but she was curious why I was buying so many of them. Not being one to lie, I told her that it was for a diet. She about keeled over right there!